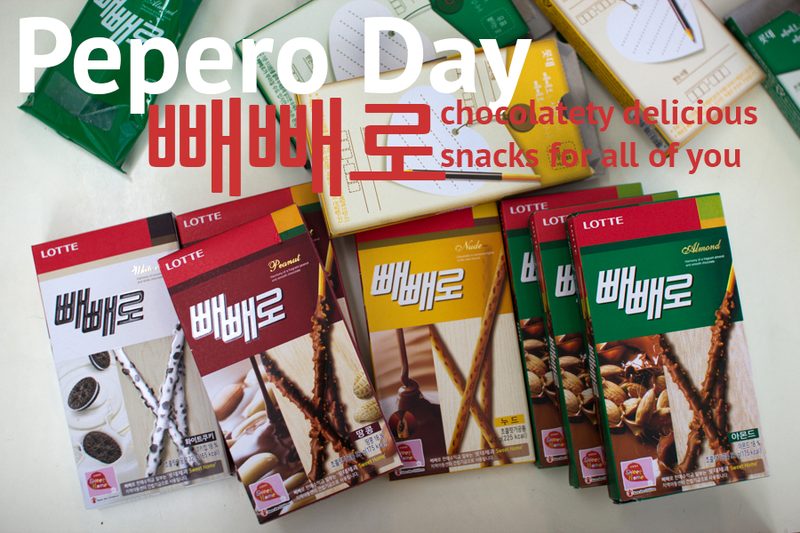 Pepero Day is coming to Korea! Want to be taller and thinner? It’s Pepero Day! It’s Pepero Day in Korea! An act of marketing genius of a legitimate event (you make the call), Pepero day has become similar to Valentine’s Day in Korea, but held on November 11. The orginal idea behind the day was to exchange Peperos with each other in the hope of becoming taller and thinner. It later somehow morphed into what it is now – a day to show affection to friends and loved-ones. On 11th of November, Lexis students are going to try their hands at making Pepero!